NBC Olympics Special Correspondent Chef David Chang is the founder of the Momofuku Restaurant Group and just opened Majordomo in Los Angeles. Lucia Cho is the CEO of Seoul's Bicena and the Michelin three-starred Gaon. They talked with host Lauren Shehadi about the diversity and traditions of Korean food, and what to eat in Pyeonchang, host city of the 2018 Winter Games. 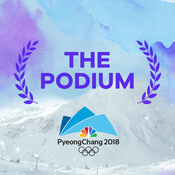 Host Mike Tirico reflects on his first time hosting primetime Olympic coverage, the U.S. women’s hockey team's gold medal game, and the Games's impact on diplomatic relations between North and South Korea.&nbsp;Plus The Podium team tells the story of chance meeting between North Korean cheerleaders and two young South Koreans at the Games. Bronze medalists Maia and Alex Shibutani tell The Podium what made their ice dancing routine successful, their sibling dynamic, and what’s next after taking home the only U.S. medal for individual figure skating. Plus, how announcers call Olympic events for the visually impaired. 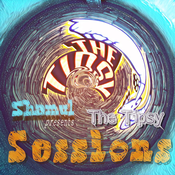 Lyt til The Podium, Tipsy Sessions og mange andre stationer fra hele verden med app'en radio.dk.